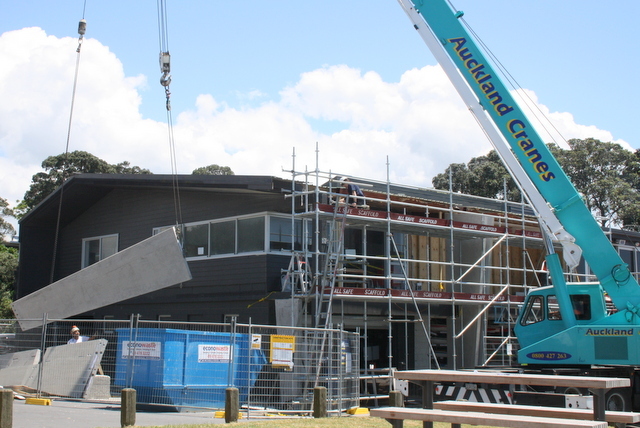 The final stages of the clubhouse redevelopment project are now in full swing. 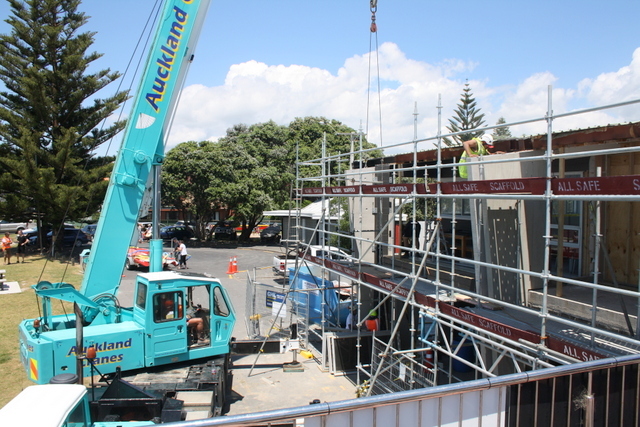 Builders moved onto the site in early-October 2017 for the final round of renovation work. 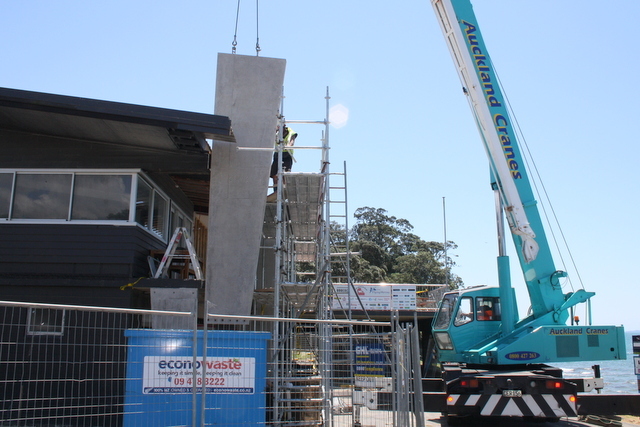 Cranes have been on the site to lift pre-cast concrete slabs into position and they are a key to providing the building with a bold new look. 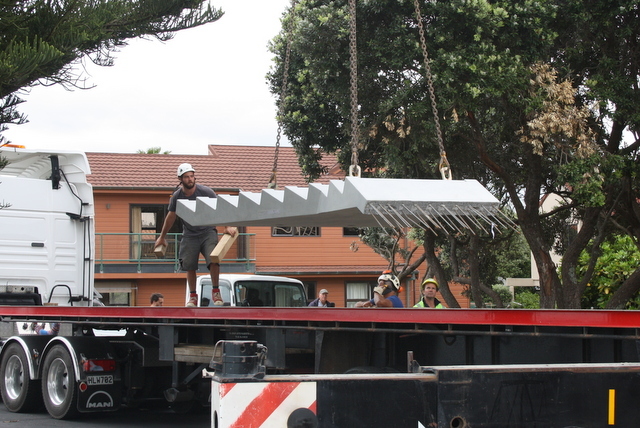 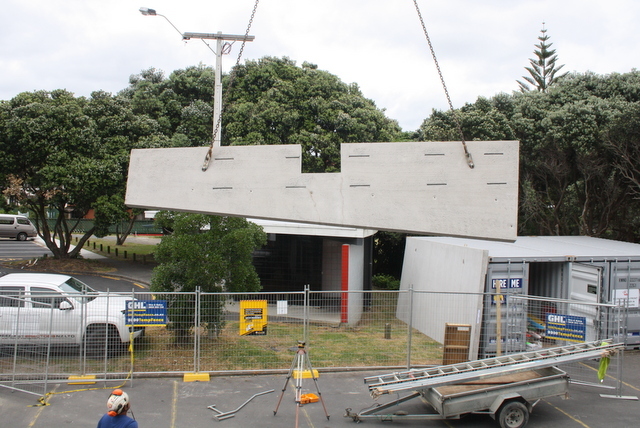 Pre-cast concrete fins will serve to support a new roof and bigger soffit. 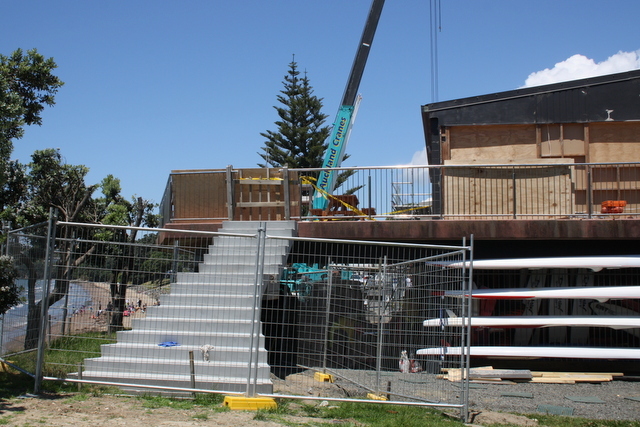 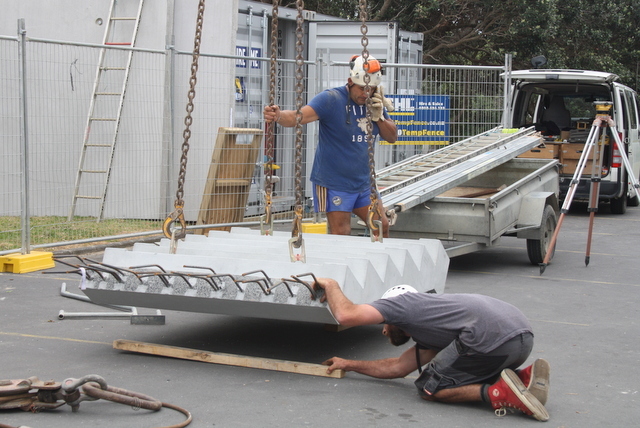 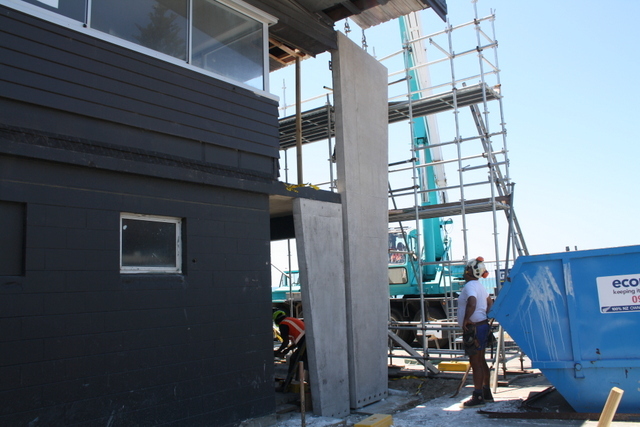 A new concrete stairway is in position on the deck and two new gear shed doors will be installed. 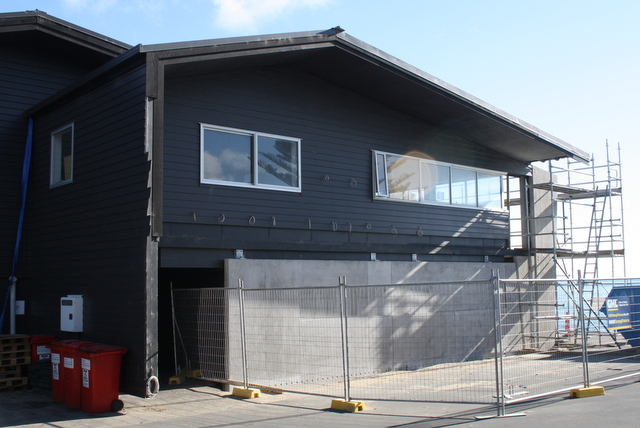 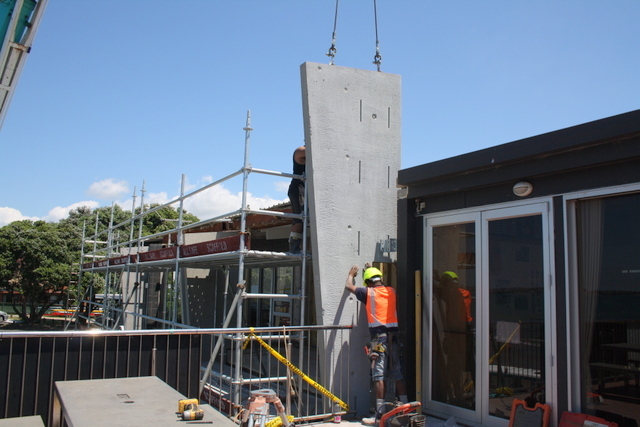 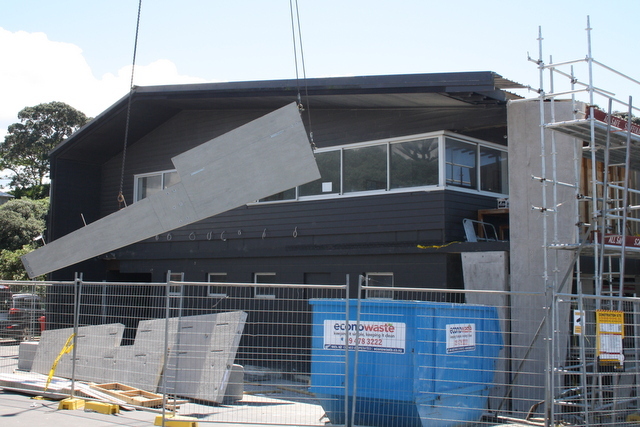 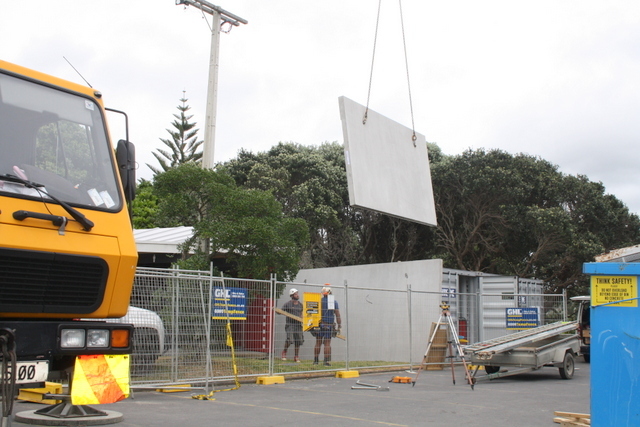 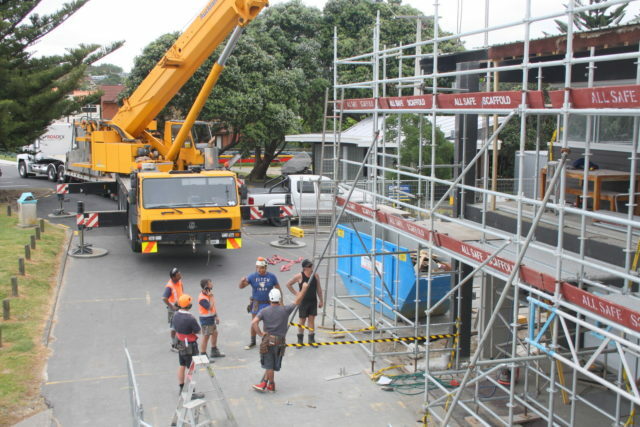 The front entry to the building is being upgraded and there will be new windows with extended eaves on the northern side of the clubrooms. 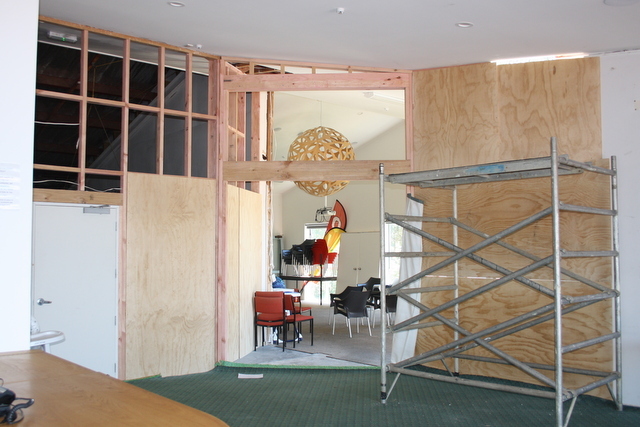 Inside, there will be upgraded toilets on the upper level, improved access to the Flying Herons Room and improved acoustics within the room. 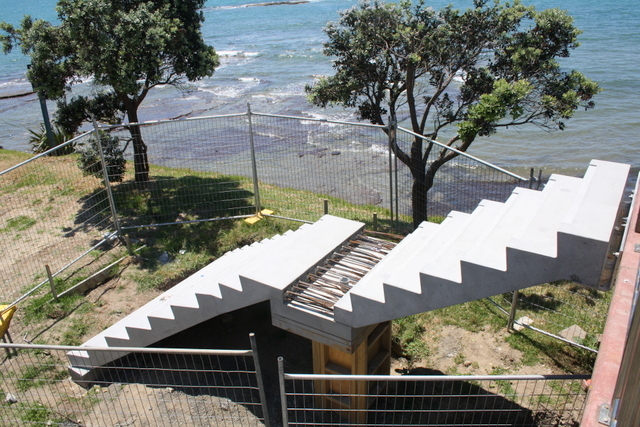 Completion of the project is expected to be mid-April. 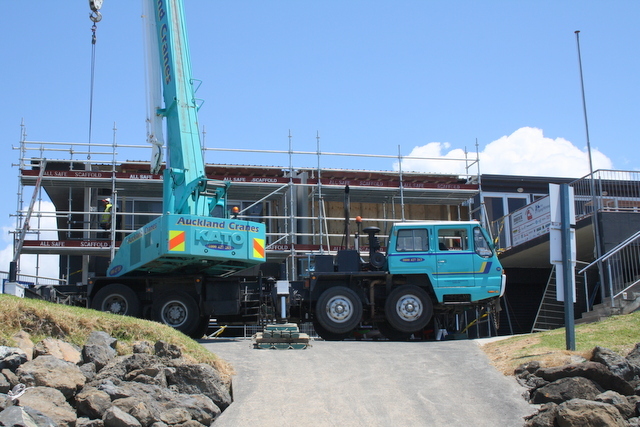 The following pics were taken on November 10 & 23 when different cranes were on site.